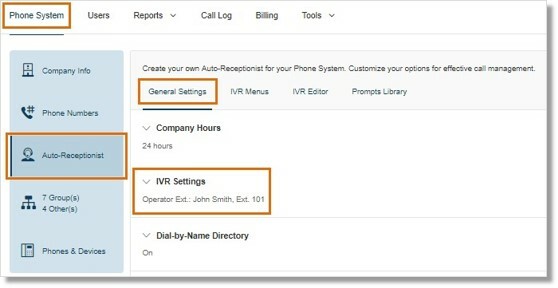 Account Administrators can set up holiday call handling rules for a company using the AT&T Office@Hand Online Account. 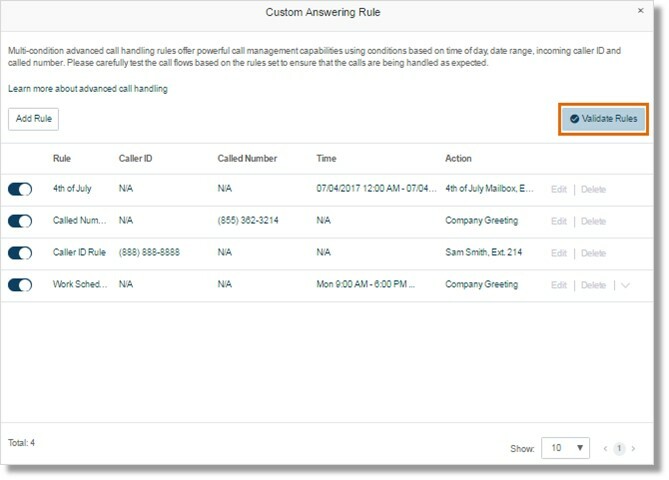 As an Administrator for your company’s Office@Hand account, you can setup your company’s Holiday Schedule call handling rules. 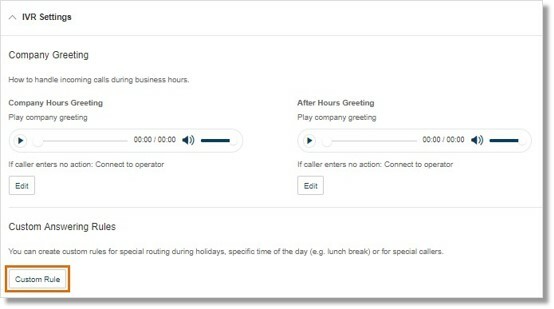 For example, for your Holiday schedule, you can set all incoming calls to connect directly to an message-only extension that plays your recorded holiday greetings, then allow the caller to leave you a message. 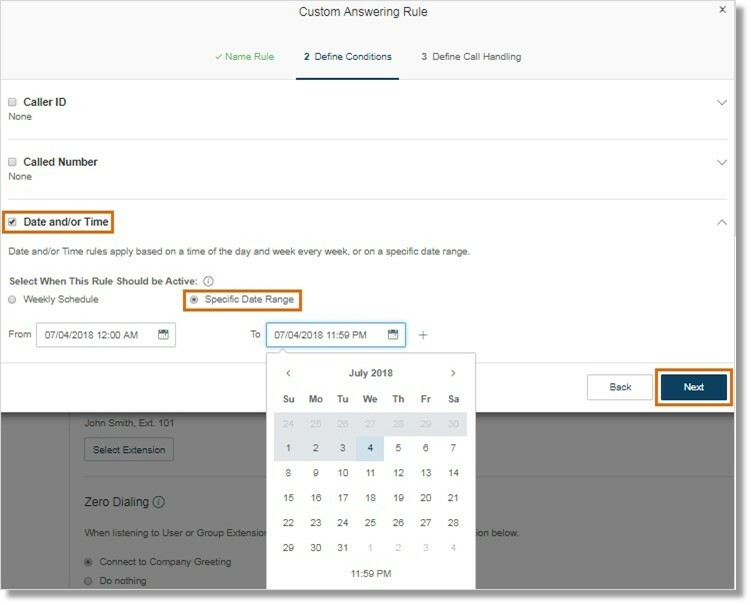 Follow the steps below to create your Holiday Schedule call handling rule. IMPORTANT: Make sure you have already created a Messages-Only Extension with your pre-recorded Holiday announcement voicemail greeting before proceeding. Enter the name of the rule, then click Next. Click on Date and/or Time and select Specific Date Range. Set the Date and Time when the rule will be applied and click Next. 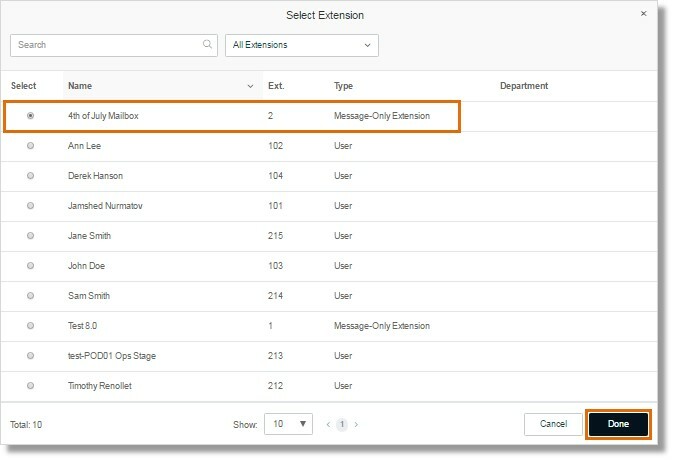 Select Bypass greeting to go to an Extension and click Select Extension. Select the specific Messages-Only Extension you setup for this Holiday schedule and click Done. Back to the Define Call Handling section, click Save. Click Validate Rules. It helps to determine that the Enabled Rules have no duplicates or are not out of date.